coreDS™ Unreal allows for easy deployment of HLA and/or DIS enabled games. Integrate once and support HLA and DIS without any other modifications. Connecting to a HLA Federation or a DIS simulation is a challenging ordeal. 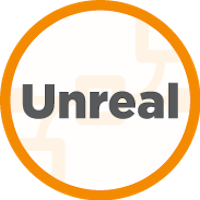 coreDS™ Unreal is a key enabler that helps you integrate HLA and DIS into your simulator applications. coreDS™ provides an extensive feature set that eases the integration process, allowing for reduced implementation time, flexibility and highly customizable simulation behaviour. The coreDS™ Unreal features comprise configurations GUIs, data encoding schemes, a powerful scripting engine, rate-limiting capability, integrated dead reckoning, local input interpolation and output extrapolation and more! We provide the ultimate connector, you focus on your simulation! Take a look at a complete example here. Need a quote? Free 20-day trial available! You can also register for a free 1-on-1 webcast.